All you people out there complaining about your hydro prices need to realize some important facts about the Kathleen Wynne government. The global adjustment charge on your hydro bill is to pay for the giant industrial wind turbines Wynne has placed all over rural Ontario. Wind turbines a useless technology that destroys our rural environment, ruins people’s health and poisons our drinking water aquifers. The only reason these turbines were erected was so Liberal insiders and their friends could get filthy rich. Wynne will not cancel the turbine projects or reduce the subsidies because the turbine lobbyists know where the political bodies are buried. Wynne has taken away the democratic rights of the people for her own financial and political gain. Wynne has sacrificed the health of rural citizens just so her friends can get rich. In a few year’s time, when it inevitably collapses, this wind turbine scam will be revealed for what it is: An enormous government-backed Ponzi scheme, founded on greed, corruption and stupidity. STT has fought the battle against the great wind power fraud on a number of fronts over the years: the totally unnecessary harm caused to wind farm neighbours by incessant, turbine generated low-frequency noise and infrasound; the pointless slaughter of millions of birds and bats; the environmental harm caused by the growing mountains and lakes of toxic waste generated in the production of the magnets used in turbines; and the chaotic delivery of power from a wholly weather dependant source that causes load shedding and blackouts by wrecking the stability of once perfectly reliable grids. But we have always believed that it is the staggering cost of subsidised wind power that ultimately destroys the wind industry around the World. Part of that phenomenal cost is, of course, the consequence of intermittency, which requires 100% of all wind power capacity to be backed up 100% of the time by an equal capacity held by conventional generators; coal, gas, nuclear and hydro in roughly that order of delivery. Although Australia is yet to grow up and join the rest of the world in the use of nuclear power. Whereas the immediate and local effects on wind farm neighbours, birds and bats and Chinese peasants forced to live with the toxic byproducts of so-called ‘green energy’ are serious enough, the vast majority of citizens suffer none of those consequences and have little or no idea that wind power involves those kinds of social and economic costs. However, wind farm neighbours, real environmentalists (those truly dedicated to protecting birds, bats and the like) and everybody else all ultimately find themselves in the same boat: being belted by rocketing power prices and, in places like South Australia, being forced to develop strategies to deal with wind power’s proven ability to destroy the reliable delivery of power, including purchasing portable generators and otherwise behaving like doomsday preppers. Americans in general, and New Yorkers in particular, are now starting to realise that moral posturing and virtue signalling come with a monstrous price tag. Yes I sometimes feel lonely harping away at the huge costs of trying to make a functioning electrical grid out of intermittent wind and solar sources. 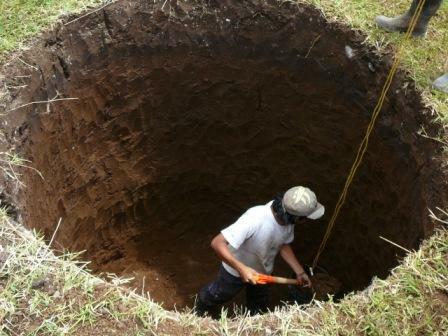 For a few of my posts on the subject, see here, here, and here. Maybe with President Trump’s dramatic move yesterday to back away from fossil fuel suppression under the guise of “climate” control, this whole thing will quickly fade away. But as of now, many states, not the least California and my own home state of New York, soldier on with so-called “renewable portfolio standards” for electric utilities, requiring ever increasing amounts of generation from the unreliable renewables. I start from the proposition that, in the world of intentionally deceptive and fraudulent government data on virtually everything important (GDP, poverty, government debt, temperature records, etc. ), it is still almost impossible to top the intentional deception that the government puts out on the subject of the cost of obtaining electricity from the intermittent sources. (OK, I have dubbed the temperature data tampering fraud the “Greatest Scientific Fraud Of All Time.” But the fraud on the subject of the cost of wind and solar power is not technically a scientific fraud.) The idea as to the energy costs is to put out numbers purporting to show that wind and solar power are no more expensive than, or possibly even cheaper than, reliable and dispatchable sources like natural gas and coal. 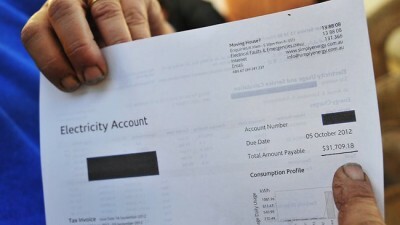 This is done by creating an arbitrary and useless concept known as the “levelized cost of energy” (“LCOE”) that simply leaves out all of the massive extra costs that use of intermittent sources requires if you want a system that actually works 24/7/365 — costs of things like backup from dispatchable sources, storage, extra transmission costs, and extra costs from running backup plants in a mode of constantly cycling up and down. Thus the government’s annual Energy Information Agency report, most recently issued in August 2016, shows the LCOE from wind turbines as much less than nuclear and just slightly higher than natural gas — and actually cheaper than natural gas once you take into account the tax credits! Their chart of comparative costs on page 6 at the link does not even deign to put a cost on new coal facilities. Hey, this was the Age of Obama! Coal was to be verboten! The LCOE concept at best addresses the costs associated with adding one facility of any one of the generation types to our massive existing infrastructure. But suppose that instead of adding a few more wind turbines, we actually propose to take wind-generated electricity up to 30%, or 50%, or even 90% of all generation. What then? EIA’s LCOE numbers do not remotely address that question. Back of the envelope calculations at some of my previous posts (linked above) suggest that such an effort could multiply the cost of electricity by a factor of five, or ten, or even more. Moreover, this would be one of those unbelievably giant engineering projects — orders of magnitude bigger than, say, the California bullet train — that inevitably have massive cost overruns. Can somebody other than yours truly please pay attention to this subject? A couple of things in the last week indicate that a few people are beginning to wake up at least a little. But unfortunately “little” is the operative word. Last week I attended the International Conference on Climate Change in Washington, put on by the Heartland Institute. One of the panels addressed the cost of alternative sources of energy, and one of the three panelists on the panel addressed, at least to some extent, the incremental costs of adding wind and solar sources to an electric grid. That panelist was Mary Hutzler, who appears to be employed by a think tank called the Institute for Energy Research. Ms. Hutzler has actually done research aimed at correcting some of the more egregious omissions from the EIA’s LCOE calculations, including a fairly detailed report from 2015 titled “The Levelized Cost of Electricity from Existing Generation Resources.” Her presentation at the Conference is available at the Heartland site here. Comparing her presentation to the Report, it seems that most of the presentation came from the Report, including many of the charts. Frankly, I found Ms. Hutzler’s presentation extremely disappointing. The basic thing that she and co-authors had tried to do in the Report was to add in to EIA’s LCOE numbers some obvious adjustments to account for things that EIA just fraudulently left out, even at today’s low levels of generation from intermittent sources — things like capacity factor adjustments to the actual capacities that wind turbines have achieved, adjustments of the assumed lifetime of wind turbines to match real experience, and attribution to the cost of power from wind of at least some of the costs of backup fossil fuel power. With these adjustments, wind power suddenly becomes about 50% more expensive than combined cycle natural gas, according to a chart on page 26 in the Report. Fair enough. But what additional costs would be needed if we tried to make a fully functioning electricity system where the electricity itself comes out of predominantly wind, say 70% or 90%? That question was not addressed by Ms. Hutzler in her presentation, nor is it addressed in the Report. Nor was it clear from the presentation that that question was not addressed. You had to get the underlying Report and study it. And when you study it you find that it basically addresses scenarios where wind turbines are matched with gas plants of similar “capacity,” so that the gas plant can cycle up and down as the wind blows less and more. Those scenarios will never get the generation from wind up much above 30%. To get higher you will need to avoid calling on the fossil fuel backup as much as possible. You will thus need multiple times excess wind turbine capacity, plus some combination of vastly increased transmission capacity or storage capacity or both. To find out how much you will have to pay for four times excess capacity in wind generation, tens of millions of Teslas worth of batteries, and massive new transmission capacity (and, of course, full fossil fuel backup — just in case! ), you will have to look elsewhere. After an unexplained delay of a year since completion the UK’s Department of Business, Energy and Industrial Strategy (BEIS) has published (24.03.17) a report by Frontier Economics on the total system costs of uncontrollably variable renewable generators, a topic of crucial importance in understanding the cost-effectiveness of current climate policies. The study is not only very late, but entirely qualitative, and contains no quantitative estimates of additional system costs per megawatt hour (i.e. £/MWh), figures which would normally be considered the principal output of such work. However, examination of the peer reviews, which are published with the study, reveals that an entire table of numerical cost estimates, some of which were described by the external reviewer as “very high”, were in fact present in the version sent out for comment in mid 2015, but have been subsequently removed. This does not smell right and BEIS should release the original draft. If you are starting to get the impression that you are being defrauded, you are right. Kudos to the GWPF for joining in the small and still nascent efforts to hold the crooks to account. But, when will any government put out a remotely honest effort to calculate the real cost of the mostly-wind-and-solar generation system that they are busy trying to force on the people? Probably, not before the entire current crop of bureaucrats in the field have been fired and/or jailed. This one is from the archive, but forecasts perfectly the economic disaster set up by Andrew Cuomo’s obsession with wind power. Anyone mourning the death of bipartisanship in the wake of a most divisive election need only cast their gaze toward Albany to be disabused of that notion. 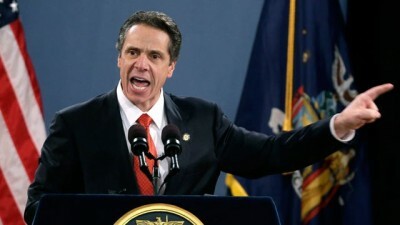 Citizens and activists from across the political spectrum have been coalescing against the disastrous energy mandate, an egregious example of crony capitalism concocted by Governor Andrew Cuomo and his well-placed allies. Ultimately, New York taxpayers stand likely to suffer the consequences, so it’s critical that residents recognize the peril, register their objection and join the growing bipartisan opposition movement. The New York Public Service Commission (whose board Cuomo appointed in its entirety) voted earlier this year to impose a new Clean Energy Standard (CES) for the entire state. The new CES requires that 50% of New York’s energy must come from carbon-neutral sources by the year 2030. Unfortunately, that draconian and arbitrary mandate isn’t even the worst aspect of the scheme. The CES plan openly subsidizes financially struggling nuclear power plants in upstate New York through something called Zero Emission Credits (ZECs). In essence, New York’s other utilities would be compelled to purchase the ZECs from a government bureaucracy, which the bureaucracy first obtains from the company operating the struggling upstate nuclear plants. It all amounts to a wealth redistribution from healthy power plants to financially faulty plants to satisfy carbon-free green energy regulations. Anyone familiar with renewable energy subsidy debacles for wind and solar operators such as the Solyndra example will realize the obvious pitfalls. Exacerbating matters, the steep cost will be paid by New York consumers and businesses, even those that live nowhere near, and receive no electricity from, the subsidized struggling plants. Specifically, the scheme guarantees $1 billion to the struggling plants in the first two years alone, with an estimated total cost of $8 billion over the entire duration of the CES scheme. The final cost to consumers through 2030 will depend upon ever-fluctuating wholesale electricity costs, how many of the non-self-sufficient reactors continue to operate, and other unknowns. Moody’s went so far as to warn investors that the ZEC cost over the duration of the program are “quite substantial,” which it estimates at $17.48 for each megawatt hour of production. For the nuclear utilities, even with their subsidies, it estimates a disturbing 45% price increase. Even the Cuomo Administration acknowledges that individuals and businesses in the state should expect their power bills to rise. Adding insult to considerable injury, those defects and costs of the plan aren’t even the worst part. The CES scheme constitutes a crony capitalist boondoggle of the sort opposed by all portions of the political spectrum. That’s because the subsidy scheme will benefit a single company named Exelon, which controls the struggling plants that qualify for the subsidy (the Ginna nuclear power plant in Wayne County and the Nine Mile Point plant in Oswego County). Exelon also stands poised to acquire another plant whose current owner had planned to close in upcoming months. Conspicuous procedural problems also bedevil the CES plan. Not only was the approval process rushed through with only two weeks for public comment, but the ZEC subsidy rates will be determined in part by an obscure “social cost” of carbon. These myriad defects help explain the broad opposition to Cuomo’s plan. 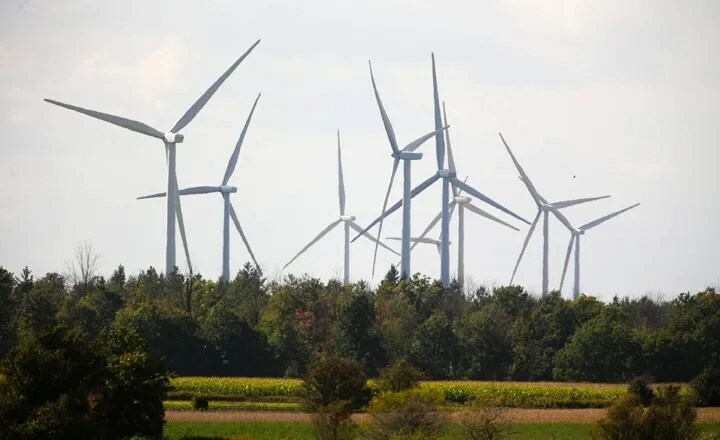 The Ontario Liberals’ Green Energy Act is meant to reduce carbon dioxide emissions by generating power from wind turbines and solar panels. We already know this has turned into a wasteful boondoggle — just look at your hydro bill. But there’s another problem with the Green Energy Act, which I was shocked to learn about. A 2015 report from the Ontario Society of Professional Engineers (OSPE) makes the alarming case that Ontario green energy policy is actually driving up carbon dioxide (CO2) emissions. Wind and solar energy seem like good, clean sources of energy. But wind power is intermittent, and about 40% of the generated power arrives when load demand is low. Solar energy is also intermittent and capacity is very low. All this means that wind and solar power are expensive and unreliable. Basically, windmills and solar panels only produce power when the wind blows and the sun shines. They need backup in the form of other power sources to provide constant electricity when you need it. Ontario has gone with natural gas backup because that is the cheapest source of energy currently available. Other options were available, including nuclear and hydro plants, but natural gas was chosen. This is unfortunate because nuclear and hydro do not emit CO2, but natural gas does. So as we dial down nuclear and hydro, we are doubling up on CO2 emissions from natural gas. According to OSPE, Ontario currently produces electricity at less than 40 grams of CO2 per kWh. But wind and solar with natural gas backup release about 200 grams of CO2 per kWh. Now, the trouble of building all the windmills and solar panels wouldn’t be so bad if it were actually worthwhile. But it isn’t. We do not have a cheap and effective way of storing the energy generated by wind and solar power. Simply put, storage is too expensive at the moment. Adding solar and wind power to the Ontario grid just doesn’t make environmental or economic sense. Continuing to add wind and solar can only be justified on ideological grounds. 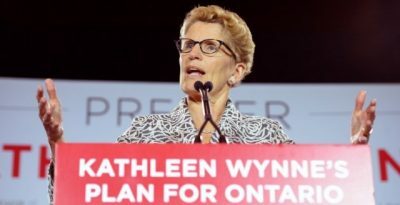 Admittedly, the Wynne government announced a halt to further wind and solar contracts. I’m not sure how long they’ll put their ideology on hold, but this is a short-term solution anyway. We need to use more of our cheaper hydroelectric and nuclear power. And we need to stop exporting power abroad at low prices. We all want to do the right thing for our environment and we all want clean air to breathe and water to drink. I sincerely believe it is important we strive for a cleaner and safer future. But no one likes being misled or lied to. The Ontario Liberal government’s Green Energy Act is an environmental and economic disaster. As both a farmer and a civil engineer, I know about protecting the environment as well as long-term sustainability. Farming teaches you to understand the risks and benefits of co-operating with Mother Nature. Similarly, engineers are required to build things: We build things to last, and we do so in the public interest. So I think most Ontarians would agree with me when I say that we need to have affordable, clean, reliable, and sustainable sources of energy which do not increase CO2. Unfortunately the Green Energy Act just hasn’t got it right. Before we become too hopeful about the prospects of using offshore wind power as a fuel source of the future, let’s not forget that government data shows that offshore wind power cannot survive in a competitive environment without huge taxpayer subsidies. Today, wind power receives subsidies greater than any other form of energy per unit of actual energy produced. Sen. Lamar Alexander, R-Tenn., a key member of the Senate Appropriations Committee, says that public subsidies for wind on a per megawatt-hour basis are 26 times those for fossil fuels and 16 times those for nuclear power. Alexander estimates that the production tax credit over the next decade will cost American taxpayers more than $26 billion. The tax credit gives $23 for every megawatt-hour of electricity a wind turbine generates during the first 10 years of operation.